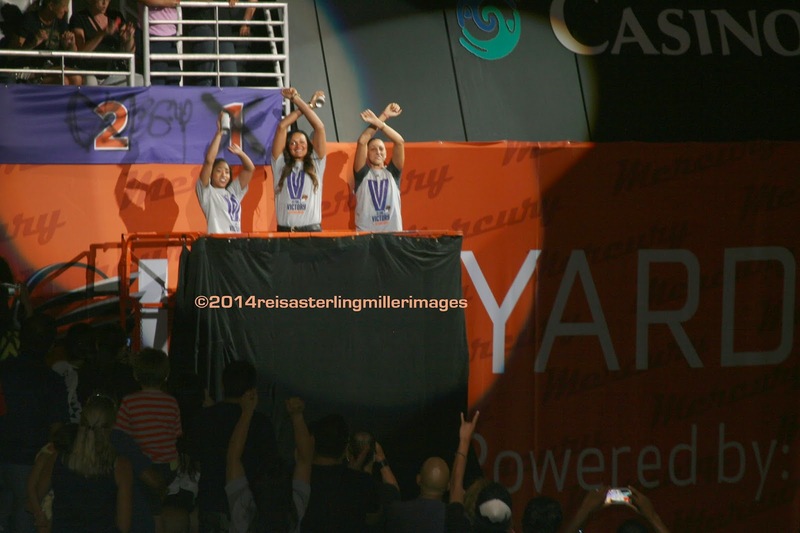 Life is More Than Sound Bites: Phoenix Mercury: the 2014 WNBA Champions! They did it. The brooms came out against the Chicago Sky, and it was 3 and done. And done in a spectacular way. With fewer than 15 seconds remaining, Diana Taurasi hit an incredible fadeaway jumper and was fouled in the attempt. That shot and the successful foul shot insured the championship for the Mercury. It was a clean 3-game sweep. 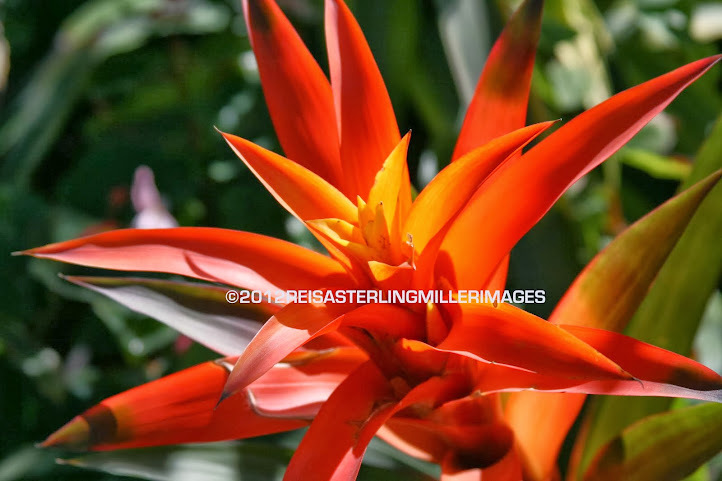 Watching and cheering loudly from home, we were caught up in the excitement... until we realized that the WNBA season was now over and our trips into Phoenix to watch the Mercury were over until next season. We'd have to wait almost nine months until the opener next season. Oh NO-O-O-O-O! 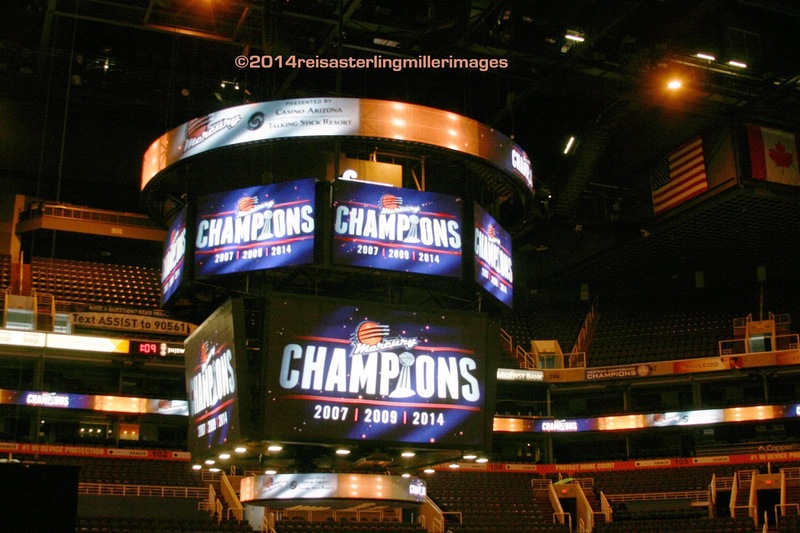 However, we got one more chance to see our beloved team at a triumphant rally at US Airways Center on Sunday. And oh, what fun that was. The team rolled into the arena in a white stretch limo and the coaches and each member of the team stepped out of the limo, one by one. 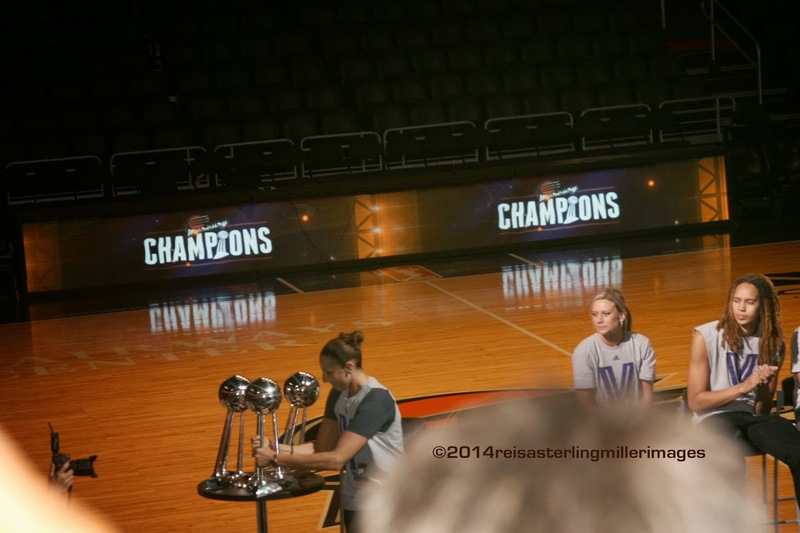 The last, Diana Taurasi stepped out, then ducked back into the limo to bring out the championship trophy. The place erupted. We all spent the next hour listening to Kip Helt who hosted the festivities, the mayor of Phoenix, Coach Sandy Brondello, and the players, all reveling in each others' achievements. It was, simply, a love fest. Fans adore this team and with good reason. They provided a season of excitement, fun, amazing basketball skills, energy, fierce competitiveness and a singularly remarkable fan experience. 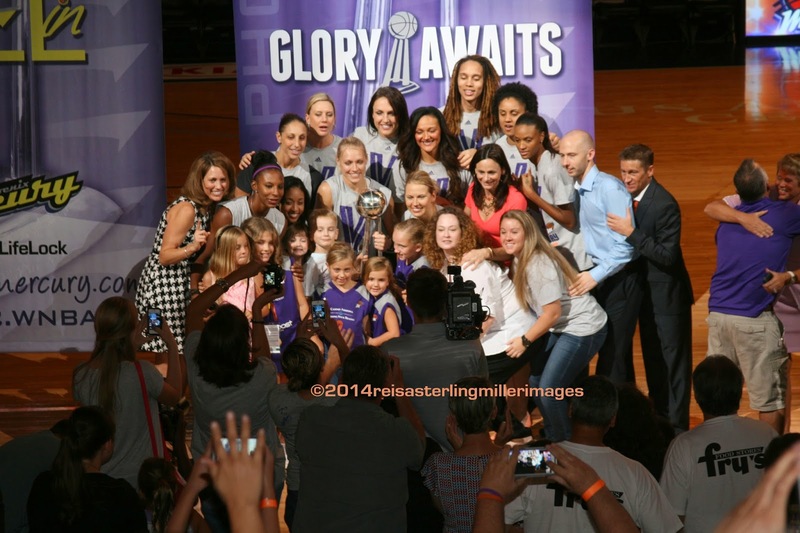 So, here's to the 2014 WNBA CHAMPIONS! We're so looking forward to your next wonderful season but, above all, stay healthy and know your adoring fans will be packing the arena again, hoping for a repeat!